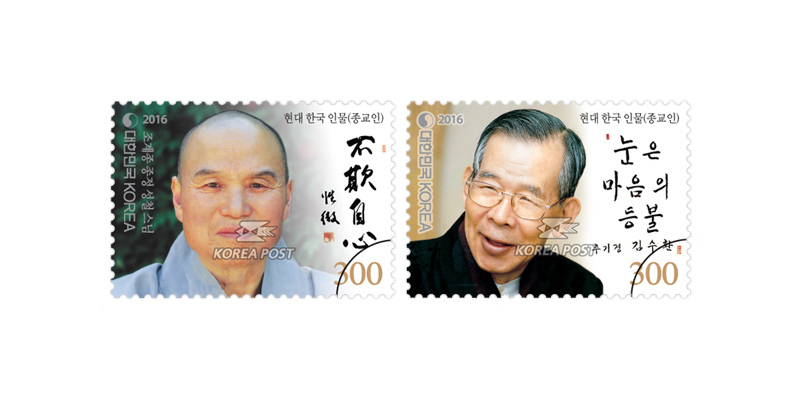 Korea Post is issuing Modern Korean Figures commemorative stamps featuring Master Seongcheol and Cardinal Stephen Kim Su-hwan, two spiritual leaders deeply admired by the people of Korea. 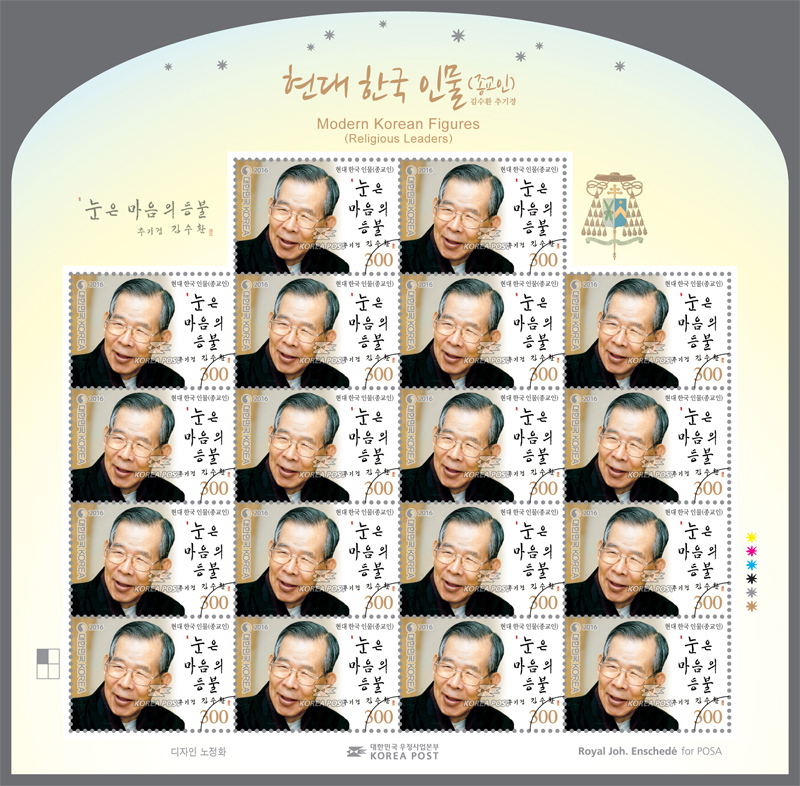 A former patriarch of the Jogye Order of Korean Buddhism, Master Seongcheol (1912∼1993) is considered a leading Seon monk in the history of modern Korean Buddhism. He spent his entire life away from the secular world to dedicate himself to achieving enlightenment. He practiced jangjwa bulwa (sitting in the lotus position of Seon meditation while never lying down) for 8 years, and donggu bulchul (meditation inside a hermitage while abstaining completely from going outside) for 10 years. Among his teachings was jungdo sasang (idea of the middle path) that followers should not focus on any one extreme of good and evil, or suffering and joy. He also emphasized the teaching of dono donsu (sudden enlightenment, sudden cultivation). The postage stamp features his hand-writing of bulgijasim (Do not deceive the mind of your own), and the margin of the stamp sheet contains a quote made famous by him: “Mountains are mountains, and rivers are rivers."